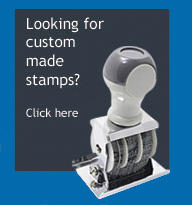 Peel Engraving & Rubber Stamp Co.
Our laser etched stainless steel marking is guaranteed permanent, suitable for all environments. 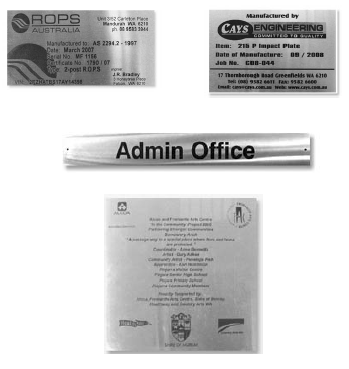 A mirror finish stainless steel plaque mounted on a timber plaque makes a striking presentation or award. 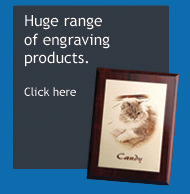 We can laser etch your photo onto any of these items to add an individual touch or to remember someone special.